The publishing firm of Macmillan invited Matthew Arnold (January 1877) to serve as editor of an anthology of selected poems by Wordsworth, largely because Arnold’s admiration of the poet was both well established and well known to his friends. Arnold responded wholeheartedly to the challenge, and immediately set to work. 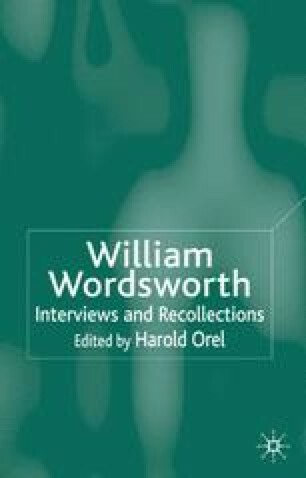 After a momentary period of inactivity (1878) he returned to the double task of winnowing Wordsworth’s better poems from an oeuvre containing much that he believed to be inferior creative work, and writing a Preface that would make a convincing case for the continuing importance of Wordsworth’s contribution to English literature.